Christian Porter MP | Local News | My annual Easter colouring-in competition is back for 2019! Kids, it's time to grab the pencils and get colouring! My annual Easter colouring-in competition is back and now open to kids 12 and under. One lucky winner will be selected and will receive an Easter hamper full of chocolate and other goodies. How do you enter? It's easy! 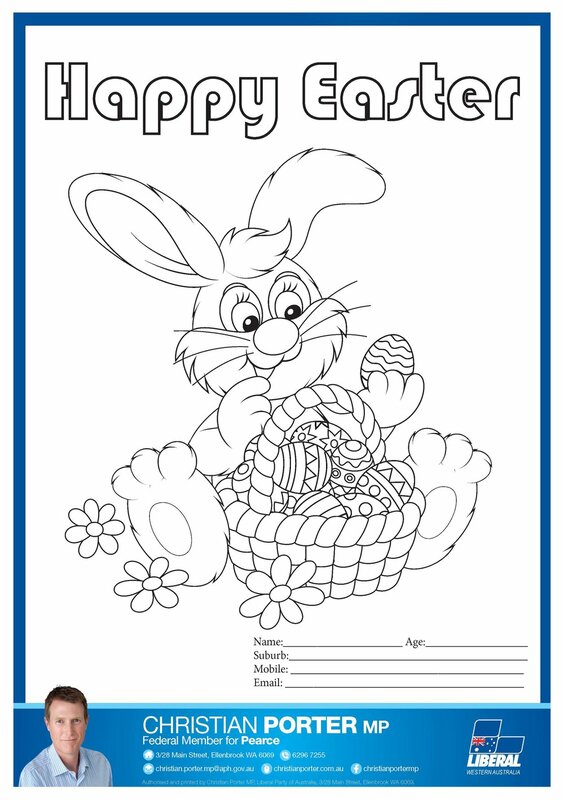 Click on your favourite Easter picture below, print it off and get colouring! But be quick - you must have your picture back to me by Wednesday, 17 April 2019!